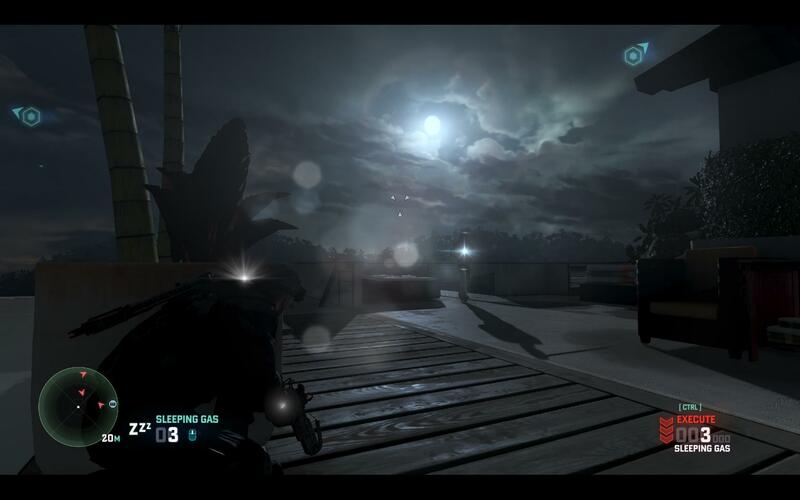 The Refined Geek » Tom Clancy’s Splinter Cell: Blacklist: The Thinking Man’s Call of Duty. 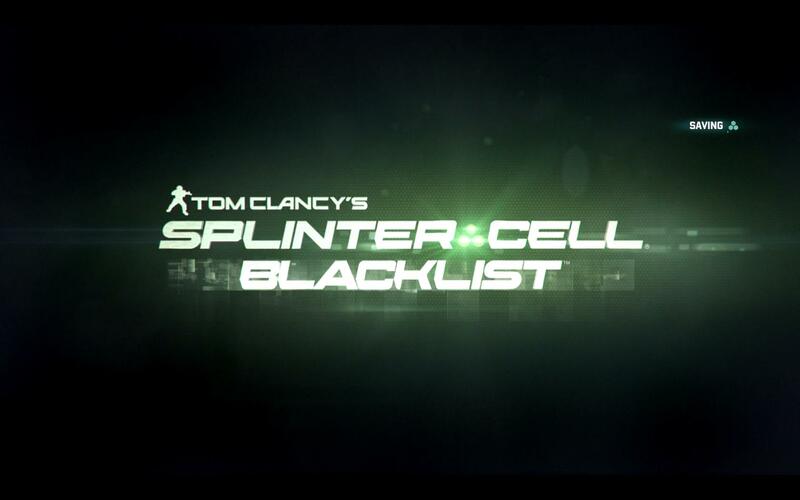 Tom Clancy’s Splinter Cell: Blacklist: The Thinking Man’s Call of Duty. It’s been a while since a good stealth game has crossed my path with many of the games that I’ve played recently including stealth as a tacked on aspect that doesn’t add much to the game play at all. Indeed stealth mechanics are notoriously difficult to get just right as it’s quite easy to make it completely ineffective or, by virtue of making the stealth so powerful, nullify other aspects of the game. The Splinter Cell series of games might never have been considered the pinnacle of stealth game play (I think Deus Ex and Thief take the cake there) but they were most assuredly one of the few games that got stealth mechanics right and Blacklist is no exception. Splinter Cell: Blacklist puts you back in the shoes of Sam Fischer, long time black ops agent who’s regularly tasked with missions that require the utmost discretion. 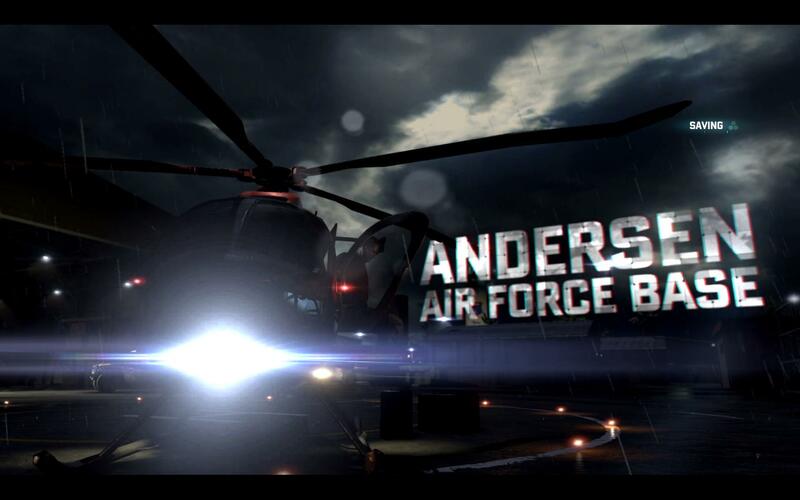 On what seems to be a routine trip out of Andersen Air Base quickly turns south as an unknown assailant lays siege to the entire base, taking down the chopper that Sam and his old friend, Victor Coste, were in. It’s soon revealed that the people behind the attack are calling themselves The Engineers and their goal is nothing short of the USA pulling all their troops out of every foreign country. Should the USA not comply they’ll have 7 days before the next attack will occur, that is unless Fischer can stop them. Right off the bat Blacklist impresses with its top class visuals, easily surpassing many titles of the same generation. Whilst you’ll be predominately spending most of your time in the dark (should you choose to play that way) there are numerous times when you’ll find yourself gawking at the lush scenery or the incredible amounts of detail in the environments. This plays heavily into the fact that the environment is as much of a weapon against your enemies as your large arsenal is as these detail environments will provide you with dozens of paths and opportunities to complete sections as you see fit. This is only made better by the solid voice acting by all of the characters, adding another level of depth that I honestly wasn’t expecting from Blacklist. 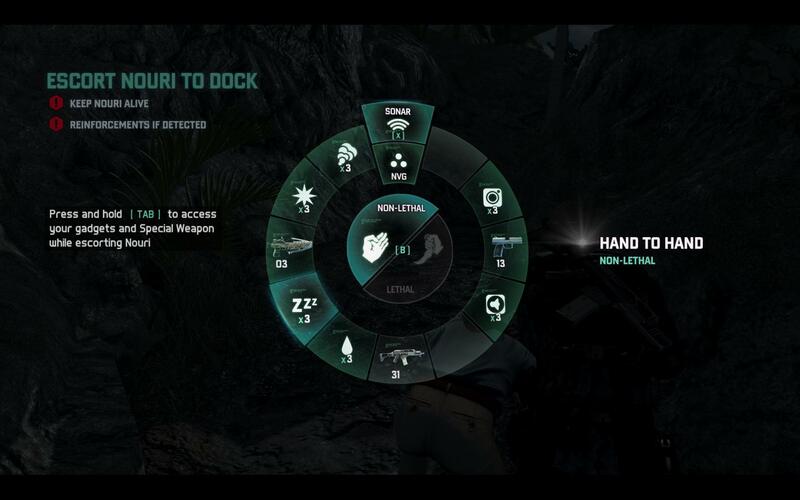 Whilst Blacklist is primarily designed as a stealth action game its essentially 3 different games in one, all of which are available depending on how you want to play it out. Blacklist does encourage you to take the hardest road (fully stealth, don’t kill anyone) by making that the most rewarding path however if you’d prefer to play it a bit quicker by switching to lethal take downs that path is also quite viable. Then, should your inner Call of Duty fan be rattling his cage, you can then switch to full out run and gun mode leaving a trail of destruction in your wake. This path comes with the least rewards however but you’d rarely find yourself wanting should you decide to play it this way. As a fan of the stealth genre I tried my best to stick to the fully undetected, non-lethal take down approach which is by far the most challenging way to play the game. It takes a little while to get used to the way enemies react to you, figuring out how long you can stay in their line of sight before you’ll be detected, but once you’ve got a feel for it the system provides enough challenge without making it feel like you’re against a race of super soldiers with heightened senses.However you’re more likely to make the game far more challenging if you’re trying to stick to a couple goals (no kill, completely undetected) as one mistake can lead to you needing to use tactics that will go counter to your plan. Although your job does become a lot easier as you start to unlock better gear, especially when it comes to the tactical goggles on your head. They start off just being your run of the mill night vision goggles but after a couple upgrades they give you see-through-the-wall capability which turns you into a super hero like agent. It’s balanced by the fact that they don’t ping out when you’re moving, so you can get yourself into tight situations if you don’t take the time to stop and look around, but if your aim is to go full stealth then you’re best bet is to drop as much cash as you can into the goggles early and look to upgrading other things later. If you’re going to take the Panther approach (stealth killing rather than stealth knock outs) then you’re probably better off investing in some of the more powerful weapons so that you can take out enemies more efficiently. It’s in this aspect that you’re somewhat spoiled for choice as there are literally dozens of alternatives for the 2 primary slots which will be candy to those achievement hunters who love to unlock everything. Personally since I was going for the min-max approach there was really only a couple weapons that would suit me and by far the best ones are the prototype weapons that are unlocked by upgrading the weapons lab. Some of the others might be better for other situations but considering how powerful the prototype assault rifle was you’d be hard pressed to find anything better, honestly. I’ll admit that I skipped all but the story missions as they seemed to be the most interesting out of the lot. There’s a bunch of co-op and multiplayer missions that you can do for extra cash and gear unlocks however the gear I had as part of the game bundle I bought meant I didn’t find myself wanting for a lot of it. This is probably my main criticism I’ll level at Blacklist as the fact that I spent a couple extra bucks on the game meant I was able to skip a lot of content because I didn’t feel compelled to pursue any of the additional unlocks. I understand this won’t be the case for everyone however it does bring into the question of single player balance and the use of potentially game breaking rewards for those who elect to pay a company a few dollars extra. The story of Blacklist isn’t going to win any awards but I did feel that it had a depth to it that many comparable FPS or stealth games lacked. Instead of simply being sent on a mission to take out person X or stop terrorist attack Y from happening all the missions have a wealth of background behind them, with many of the characters being acutely aware of the impact their actions could have on the wider geopolitical landscape. It’s probably even better for those who’ve played the previous Splinter Cell titles (I can only vaguely remember playing one, Pandora Tomorrow I think) as many of the characters were featured previously. 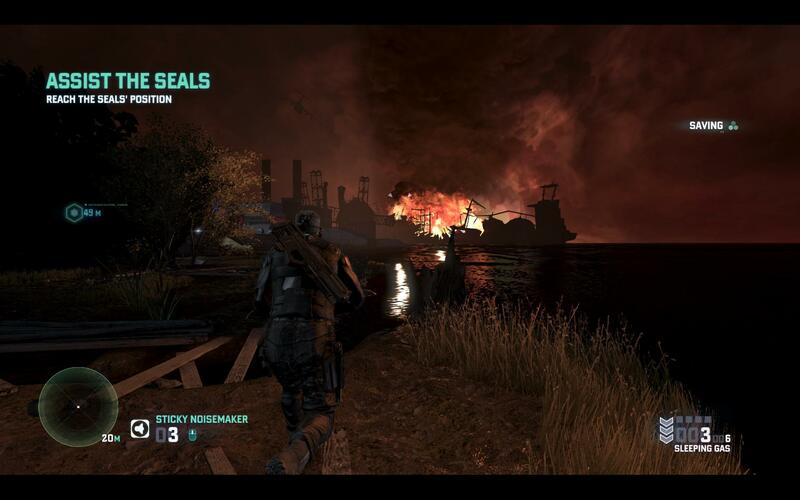 Splinter Cell: Blacklist is an excellent example of a modern day stealth title, giving the player a great degree of freedom in playing the game out how they see fit. The stealth is done exceptionally well with every level having dozens of alternative paths so that you can craft your own way through. Even the sections where you’re forced into run and gun combat feel great which leads me to believe that even if you played Blacklist as a traditional FPS it’d still rate up there as a great game. Blacklist then is a title I can help but recommend especially if you’re a fan of the stealth genre. Tom Clancy’s Splinter Cell: Blacklist is available on PC, Xbox360, PlayStation3 and WiiU right now for $59.99, $78, $78 and $78 respectively. Game was played on the PC on Normal difficulty with 10.7 hours of total play time.